Freeze pension payment levels for five years. They already have been frozen for two years and this is an extension through 2013. The prior state commitment to pay 45% of a teacher retiree’s health insurance payments would end. Instead, the payment dollar amount would be frozen at the current figure for the next two years and thereafter, regardless of costs, payment increases would be capped at no more than 4% annually. At age 65, those who are Medicare eligible must switch to the state plan to receive the 45% payment. Pay an additional 2% of their salary (totaling 9.65%) to the pension system. After January 1, 2012, they must reach 65, with ten years of prior service before they would be eligible to receive the health insurance subsidy. The current retirement age is 62, and five years of service is required to qualify for any pension or benefits. Be subject to all the same cuts as current retirees. Those with more than five years in the system would retain their current retirement eligible age, however they would not receive any insurance subsidy until they reach age 65. In most cases that would make the de facto retirement age 65, because the current costs of a single insurance plan through the state is $6,467.44, likely a prohibitively large sum for most. Teachers with from zero to five years in the system would not be eligible for retirement or health insurance subsidies until age 65. Statistics show that only 13% of teachers work the required 25 years in Maine to receive full benefits, and of those teachers the average annual pension is $26,000. For all retired teachers who qualify for a pension the average annual pension payment is $19,300. Teachers are not allowed to participate in the Social Security system. Under Social Security both the employee and employer pay 6.2% (for 2011 and 2012 the employee payment has been reduced to 4.2%) on the first $106,800. Unlike Social Security, no credits or benefits are transferable. Teachers currently pay 7.65% of their salary into the retirement system. This would increase to 9.65% under the proposed budget. The state pays an amount equal to 5.5% of their salary. The proposed budget would reduce that to 3.5%. The state also currently pays an amount equal to 14.6% to continue to eliminate the unfunded portion of the pension system by 2028, as required by law. Teachers in MDI school systems (except Trenton teachers whose contracts are still being aligned with the rest) also have deducted from their pay 15% of their current health insurance premiums. And all teachers hired after 1986 also pay the standard 1.45% for Medicare. While proponents of pension cuts claim that benefits continued at current levels will inexorably bankrupt the system, others argue that the Governor is creating the illusion of a crisis by basing projections on 2008 data, which was the year in which all pension systems, public and private, showed enormous losses due to the market crash. They counter that over the past 20 years the pension system funds have gone from 30% of potential liability to currently close to 80%, and that a 2010 Legislative bipartisan review committee found the pension system to be actuarially sound. In the midst of what is asserted to be a financial crisis necessitating cuts not only to teacher and other state worker pensions and health insurance benefits, but also the elimination or radical curtailment of countless programs and services ranging from payments to nursing homes for seniors to many basic public health programs, the same proposed budget includes major tax cuts, which will benefit primarily those in upper income brackets, including decrease in income taxes rates for those in the top income bracket from 8.5% to 7.95%, and an increase in exclusion from estate taxes for estates worth up to one million to estates worth up to two million dollars. Approximately 1200 “confidential employees”, usually high ranking state officials who are not members of the unions and the Governor himself, whose pension benefits are already far more generous than other state workers are proposed to be exempt from these cuts. Many of the same advocates for these bills recently convinced Maine votes to overturn a serious Legislative effort to broaden, stabilize, and better equalize Maine’s tax base, all while lowering income taxes for almost all citizens, not just those at the top rates. It all prompts a question: Does the current administration and majority party view the current budgetary climate as a reason to worry about how to best serve Maine’s citizens, or a reason to significantly weaken our ability to meet our joint responsibilities to best provide for our common good? Because of massive cuts in the level of subsidy to school systems, the state projects that approximately 1200 teachers may lose their jobs this year. Because we receive no money from the state, except for a relatively small special education subsidy, we are not facing cuts. However, the state is trying to use the January 2012 start of the proposed cuts to health insurance subsidies as a means of “encouraging” early retirement for teachers currently between 62 and 65. While no doubt in any pool of workers with 25 years of seniority, there are some for whom retirement might be mutually profitable, unfortunately MDI schools have quite a few of our most experienced and exceptional teachers in the category targeted by the Le Page budget cuts. Because of the indiscriminate nature of this “incentive”, we have reason to worry about a potential “brain drain” from our classrooms. Conversely, once the window closes in January 2012, it would be financially far more difficult for any teacher to retire before the age of 65, creating the likelihood many would be forced to hang on to their classroom jobs for years longer than optimal for either themselves or for the school as a whole. Additionally, these cuts are likely to try to come home to roost in subsequent rounds of bargaining at the local level. As teachers become increasingly financially diminished because of shrinking state-controlled benefits, don’t be surprised if requests to bridge those new gaps occur in our local bargaining process. An intangible, but very real consequence of this action is anger and demoralization among our professional staff. This financial assault is coupled with the dominant paradigm coming from the likes of politicians of all stripes, certain corporate barons, and think tank talking heads that schools are filled with “bad teachers” and therefore need to be “tipped upside down”. Our teachers are professionals and they will continue to put our students first, but no one who tries to put himself or herself in their shoes these days could possibly enjoy the fit. 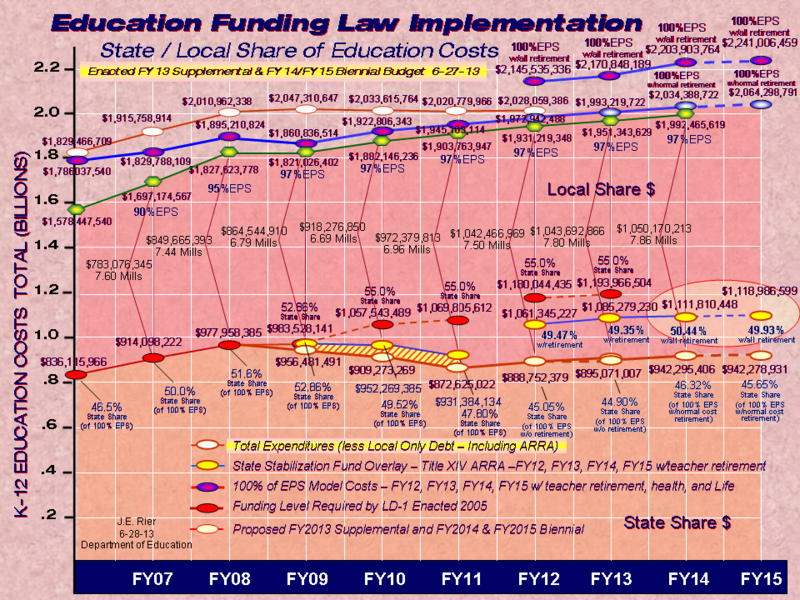 As usual a very thoughtful and detailed analysis of the 'plans' that our new Governor has laid out for the State and it public school educators. I would like to comment and expand on what the Governor's plans may mean for many of the new and young teachers that have just started or are planning on starting their careers as public school teachers. The governor's plan will dramatically change the landscape and the rational choices an entry level or near entry level teacher will confront. The few school districts in the State of Maine that have both a strong support for public education and the local tax base to provide that support (like MDI) will continue to be able to provide a competitive salary and working conditions to attract the best and brightest educators into their systems. 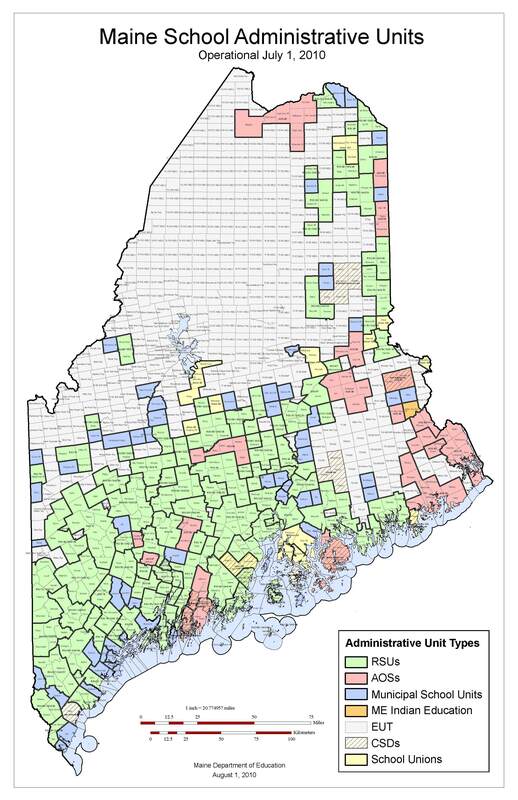 The majority of school districts in Maine however do not have the taxbase or the political support to provide a competitive compensation package especially when compared to our neighbors to the south and west. Our best and brightest teachers may very well make the very rational decision to begin or continue their teaching careers in another state besides Maine. Their heart may be in Maine, but the economics of earning a living and often growing a family will drive many to leave. How will that help the Governor's desire to have the best teachers and schools? It seems to me that the Governor's economic plan is a classic case of being penny wise and pound foolish. It is my hope (but not my expectation) that the legislature will reject the Governor's proposal and craft a budget that will actually strengthen Maine's economy and provide incentives to promote an excellent education system throughout the State of Maine.